1. Place your order and checkout, keep a note of your order ID number on the confirmation page or your confirmation email. 2. 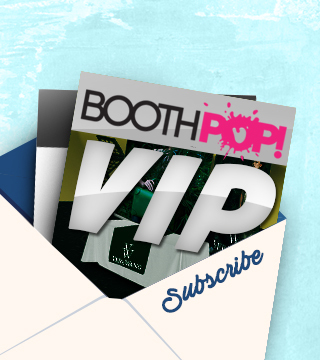 Let us know which order your artwork pertains to by including "BoothPop Order: (your order number)" in the message field when you upload your graphics. 3. Please rename your files to your company name or the name of the person on the order to further help us identify your artwork and avoid confusion. 3. Be sure to include any special instructions regarding your artwork, if needed. 4. Once the file has be uploaded, you will receive an email confirming the file has been sent. If you do not receive a confirmation email, you will need to upload again. *REMINDER: We review file submissions based on the order that they are received. Due to the volume of file submissions, we will prioritize file submissions for existing orders because of their respective deadlines and turnaround times. We strongly suggest to follow the aforementioned steps above when uploading files to avoid any delays or discrepancies. Uploading files will NOT automatically start an order and/or send an order into production. When you're ready to upload your artwork, fill out the form and specify any specific instructions, .pdf proof requests, and/or physical proof requests and hit "UPLOAD". It's that easy! To avoid confusion, please name your image files to the NAME on the order and include your order number in the Subject field. Files without a name and order number will not be opened. Join Our Mailing ListJust honest to goodness updates & news!